Polar Shades Sun Control is founded on the idea that great interior window shades should be more than just beautiful — they should be functional, too. Since 1995, our team has been designing and manufacturing interior window shades that create comfortable environments for our retail & commercial customers. You’ll find our shades in homes, offices, hotels, universities, hospitals and restaurants across the globe, and we’re proud to say that this is just the beginning! Polar Shades interior window shades are made from high-quality textiles that come in a variety of fabrics, patterns, and designs. We utilize natural, filtered light as a design element, helping to illuminate our customers’ spaces without letting in unwanted heat and sun glare. Polar Shades’ fabrics filter and diffuse damaging UV rays that cause interior flooring, furnishings and portraits to fade. Thanks to our solar-blocking technologies, our fabrics effectively reduce energy consumption by minimizing the amount of solar heat gain your home or business experiences. In return, you’ll enjoy lower energy costs. Lighter fabric colors deflect the sun’s rays, reducing the amount of heat absorption that comes into a space. The end result is increased energy efficiency and cost savings. On the other hand, lighter fabric colors tend to lend themselves to greater possibilities for glare and reflection than their darker-colored counterparts. Our textile fabricators have these thoughts in mind. Our team has created various performance fabrics to optimize your living space. It’s one of the reasons we offer free in-home consultations. 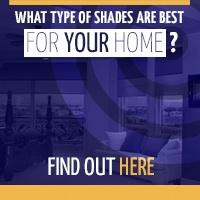 We’ll help determine the best fabric for your interior window shades. 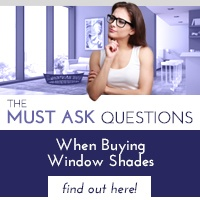 The exterior (outward-facing) sides of our shades are characterized by lighter colors or aluminum finishes. 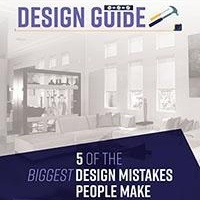 These elements diffuse the light entering the room and eliminate the glare factor of lighter-colored fabrics on furnishings and fixtures within the room. Outstanding fabrics allow us to produce exceptional products. Our performance fabrics are coated with aluminum, which provides greater energy efficiency than traditional sun control fabrics. If you want to reduce the glare and reflection inside, while keeping an excellent view of the outside world, consider opting for darker fabrics. Besides absorbing light and heat, darker fabrics battle sun glare, making them ideal for places where you’ll have your computer or TV screen on display. At Polar Shades Sun Control, we take safety seriously. We’re proud to announce that our child-safety device complies with the CPSC‘s strict regulations. Our tension device is engineered to lock the cord or chain if it’s not properly mounted to the wall in accordance with ANSI/WCMA standards, section 6.5.2. The locking mechanism renders the shade inoperable until it is correctly placed on the mounting surface. Once installed, the cord or chain safety-locking tensioner is designed to allow the chain connector to pass easily through the opening. Cordless window coverings are best for rooms where small children will sleep and play. Cords present unnecessary strangulation hazards that can easily be prevented with upgraded products. 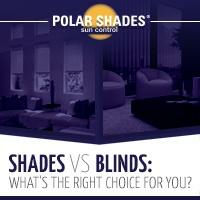 Polar Shades Sun Control offers free in-home consultations. If you’re interested in learning about the ways our products can enhance your home or business, both functionally and aesthetically, call us at 877-260-6110 to get started today!